Running in the Cayman Islands. Best places to run in the Cayman Islands. 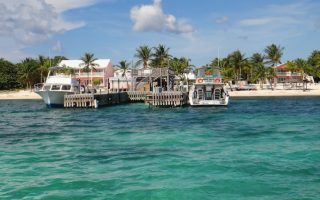 The Cayman Islands of Grand Cayman, Cayman Brac, and Little Cayman, are an autonomous British Overseas Territory in the western Caribbean. This popular Offshore Financial Center is also beloved by international tourists for its tropical climate, coral reefs, and sparkling beaches. 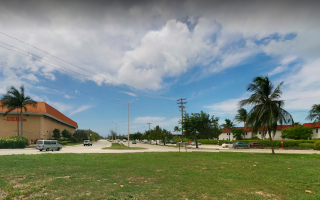 One issue with running in the Cayman Islands is that there aren’t that many roads, especially outside of the George Town area of Grand Cayman. 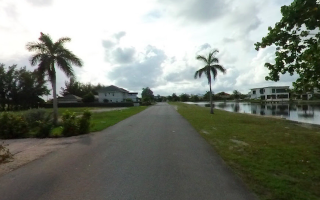 And, many of the roads are narrow and lack a decent sidewalk/shoulder. So use this guide to find the best spots! 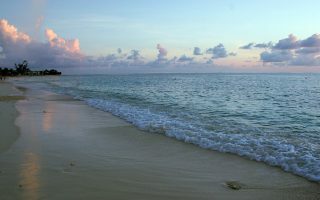 On Grand Cayman, the best places to run are in the area surrounding Seven Mile Beach. The beach itself is a nice option for a longer sand run, while West Bay Road, Esterly Tibbetts Highway, South Sound Road, Queens Highway, and the Safehaven and Yacht Club neighborhoods offer safe and attractive pavement-running choices. Since the Cayman Islands are relatively small, most visitors can rely on taxis and tours for infrequent trips. A rental car is a good option if you plan on moving around a lot. While the islands do have affordable bus services, the reliability differs. Also, keep in mind that the islands are hot and humid, so mornings and evenings are the best time to run. Hydration and sun protection are key. 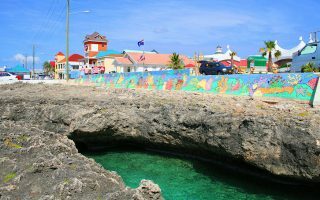 Centrally located along the resort-laced Seven Mile Beach in Georgetown, West Bay Road is the choice running spot of locals and tourist alike in the Cayman Islands. Wide sidewalk and occasional coastal views. Up to 8.7 km one-way. 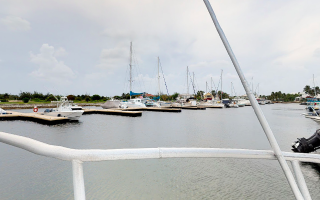 A lovely set of quiet side streets is the Yacht Club Development just off Esterly Tibbetts Highway, opposite the Safehaven neighborhood on the north side of Governors Creek. Lovely homes and water views. More in & outs along the Quays. The minimally-trafficked roads around the Safehaven neighborhood, surrounding the North Sound Golf Club, form a 5 km out and back. Nice home and water views. A good alternative to the busier West Bay Rd. This new road has a fresh lane for cycling and pedestrian traffic, so this 9.6 km stretch is a good choice for anyone trying to fit a longer run onto this small island. 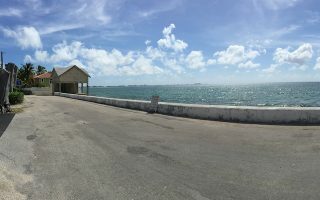 This brand-new paved boardwalk near the Cayman Crossing neighborhood is calling runners to the south shore of Georgetown, with its unparalleled coastal views. The boardwalk is 1,500 feet, but South Sand Rd. stretches for 4.5 km. The ocean views are incredible on this 5 km (one way) stretch of road near Barefoot Beach on the quieter eastern end of the island. One of the most scenic spots for a run in the Caymans. This 5.5 km out and back takes runners from Rum Point, past Bioluminescent Bay, and out to the tip of Starfish Point for quiet roads and lovely waterfront views. For runners lucky enough to find themselves on the island of Little Cayman, this destination is a real treat. Pick any stretch of road along the 35 km circumference of the island! 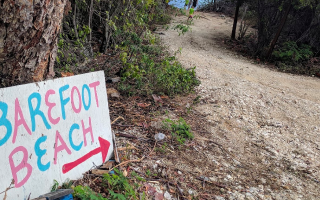 The quiet island of Cayman Brac is not as frequently visited by tourists as the other Cayman Islands, but visitors can find multiple options for a run around its scenic bluff. 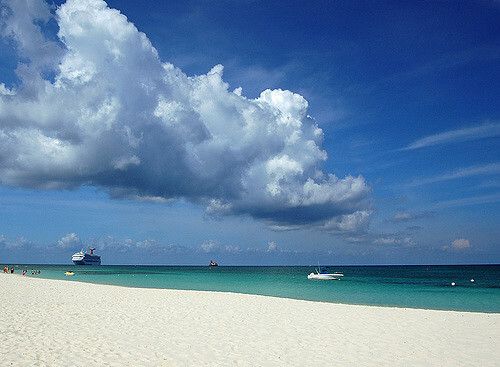 Grand Cayman has weather typical of the Caribbean islands. Nearly uniform temperatures year-round, with highs ranging from 30-32C (86-90F), and low temperatures a warm 21-24C (70-75F). The dry season runs from November-May, and the wet season from June-October. Cyclones hit/brush the island an average of every 2-3 years. Runners should be aware of the heat, humidity, and strong sun when planning their run. Also, it can be consistently windy, especially near the water. 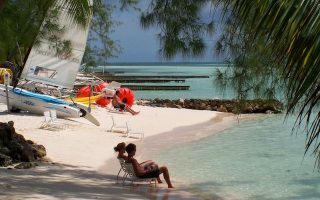 Most visitors stay in the Seven Mile Beach area of Grand Cayman. For more ideas, see explorecayman.com or visitcaymanislands.com. Cayman Active is a fantastic resource that promotes sports, health, and fitness across the Caymans. They host group runs (times vary) and races throughout the year. See their calendar at CaymanActive.com. Winners Circle Sports is a great stop for gear and running information. Cayman Active has a great list of upcoming races and other athletic/health events.